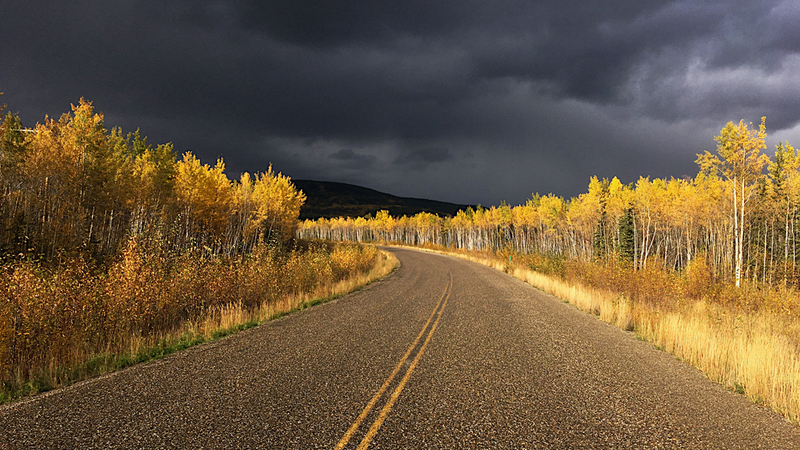 Home » Articles » Autumn comes to the Yukon! On my drive home to Dawson City last weekend I had to stop the car and capture this scene. The quality of light in this country is amazing and so different from other locations. Maybe its because we’re sitting at the top of the world. I was already feeling exhilarated from my 18 KM leg in the Skagway to Whitehorse relay race which I ran with my team “Run DMC” the day before. Perhaps there’s potential here to translate this image into a print of some kind. Will have to see what approach might work.